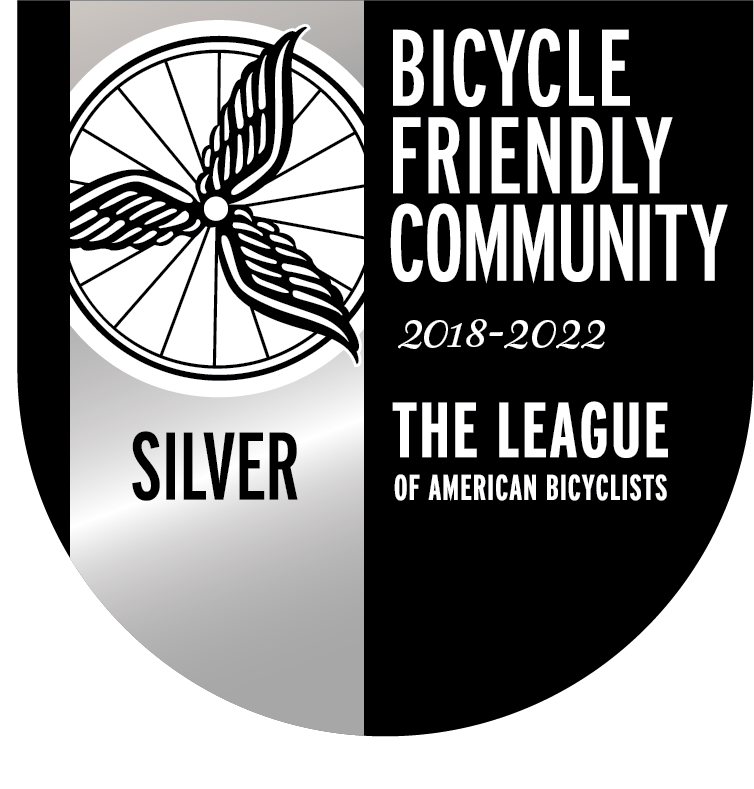 May is a great time to give your bike a check-up and get back in the saddle. 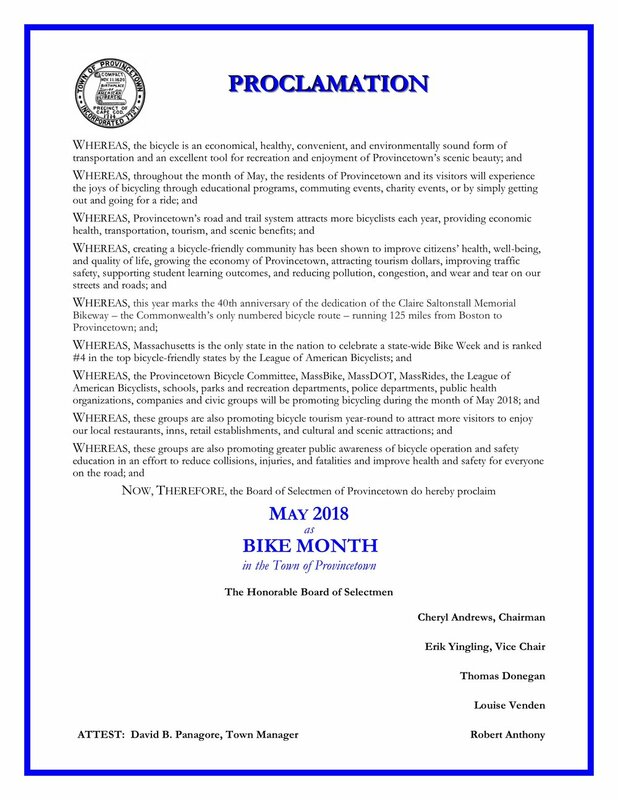 It’s also National Bike Month, including Bay State Bike Week – the only state-wide bike week in the nation – and our Board of Selectmen has proclaimed May as Bike Month in Provincetown! Check out the display of bike-related books at the Provincetown Public Library, 356 Commercial St.
Bring your parent, helmet, and your bike to the Children’s Bike Rodeo! The Recreation Department, Provincetown Schools, and Provincetown Police Department will be hosting this in the Grace Hall parking lot behind the school (enter off of Prince St.). There will be safety training, an obstacle course, and fun activities. See you there! Demonstrations of basic repairs that you can learn to do yourself! Bring your bicycle! Reverend Kate will bless the bikes for safe travels. 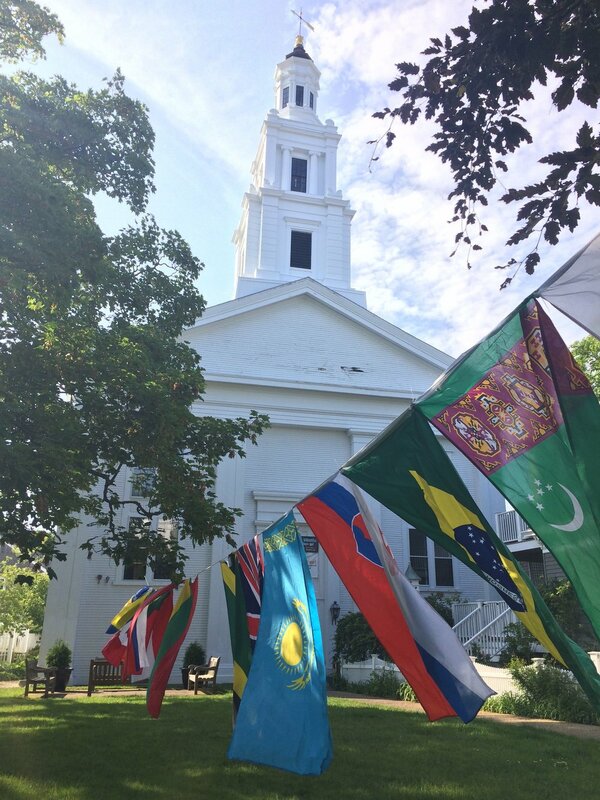 5:30 PM @ the UU Meeting House, 236 Commercial St.